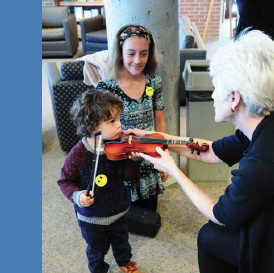 We couldn’t have asked for a better turnout for our second concert of the 2017-2018 season and our Fourth Annual Instrument Petting Zoo! Our Friday night concert was well attended – a packed house! After a performance by talented young musicians from the Heartland School of the Violin, KCCO took the stage and treated the audience to a lively, patriotic repertoire that had everyone tapping their toes. (Hear a sample here.) We were also honored to have several veterans attend and stand to be recognized as the orchestra played songs representing each of the armed forces. Saturday’s Petting Zoo was also a huge success. This year we introduced “passports” that provided brief information about the instruments featured at the zoo and which the attendees could get stamped at each instrument station that they visited. They were a hit! 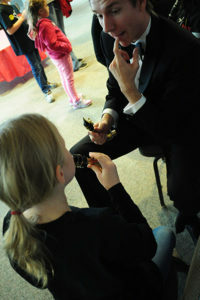 Instruments for the zoo were provided by Band of Angels. The matinee performance of The American Sound provided a slightly abbreviated version of the Friday evening concert and was also very well attended. Our next performances will be our holiday concerts on December 8th and 9th – Sounds of the Season! 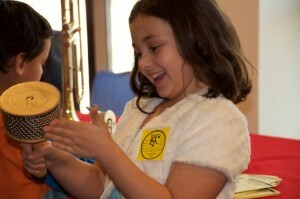 Our Instrument Petting Zoo for children has grown each year, and we expect this year to be better than ever! This year’s event will take place on Saturday, November 11 at 1:00 p.m. 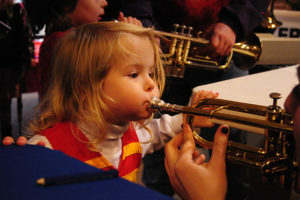 The Petting Zoo gives kids the opportunity to learn about, touch, and play a wide variety of instruments. Special thanks to Band of Angels for donating the instruments for this event. 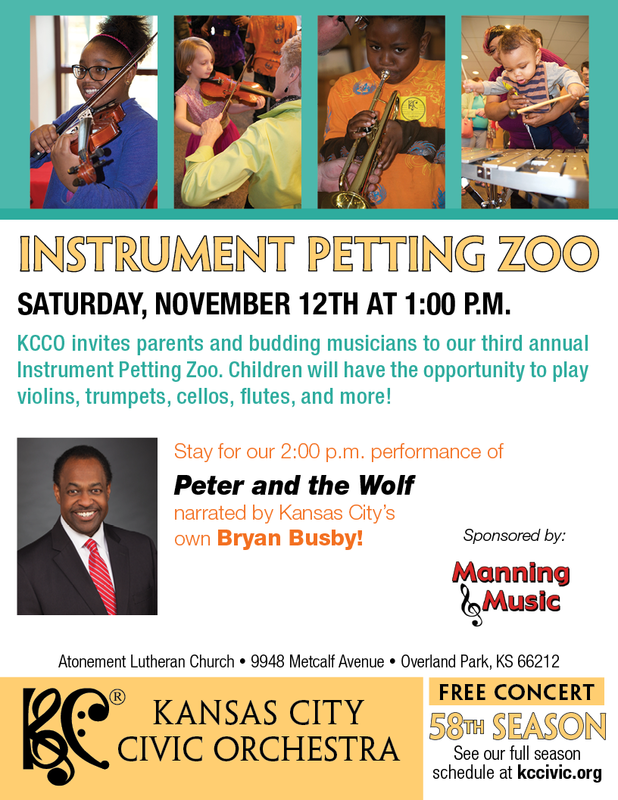 Our third Annual Instrument Petting Zoo takes place November 12th at 1pm. 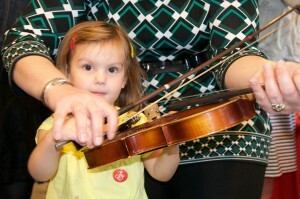 The Petting Zoo gives kids the opportunity to touch, play, and learn about a variety of instruments. After the zoo participants are encouraged to stay for our 2pm performance of Peter and the Wolf narrated by local celebrity Bryan Busby! 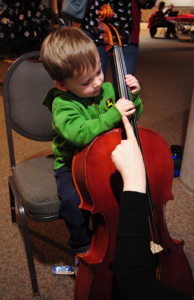 We had a great turnout for our second Instrument Petting Zoo! 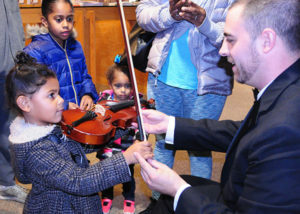 Over 100 students joined us to learn about and practice playing a range of instruments.